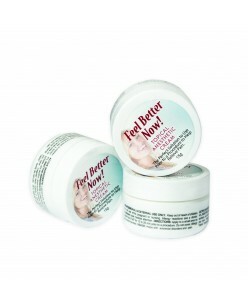 Anesthetic cream "Feel Better now" (15g.) "Feel Better Now" cream is used to prepare/numb the skin for pain or discomfort. It contains 5% Lidocaine, 20% Benzocaine, and 4%Tetracaine. This topical cream can help take off the edge to relax your client. Also... see the amazing Feel Better Now gel which can be used during a proce..
Anesthetic Gel "Feel Better now" (30ml.) Feel Better Now Topical Anesthetic Gel is a product you can rely on to keep your clients in a more comfortable state with less pain while allowing you to work on sensitive areas with minimal movement. It is used to help relieve pain, swelling, and bleeding during procedures that repeat..